Wip Mockup for Flame Badge "No Kings" by Belimoth. Two teams - Black and Red (wip). Spearman: just spear, without shield and this head (because this head for Minotaur, guy with bull mask, no other armor). These are looking really cool. I didn't know what second floor was without the label so you probably need to change the lighting on the wall and increase the highlight where the wall meets the floor. A few structural details would also help to tell what is going on. 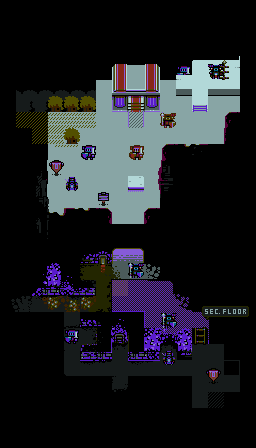 I don't know if you care about the nes restrictions but I think its something like 4 colors per 8x8 tile(including transparent color), otherwise looks cool though, I really like the hud, it reminds me of old ultima games for some reason. Thanx for advice, I'll try it! 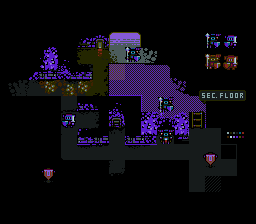 Mockup based on this screenshot. I can't be defined with this green because don't like it. Which green you like more? I'm undecided on the green, both look pretty good but not perfect to me. As for the horse, there is only so much you can do with the space given. 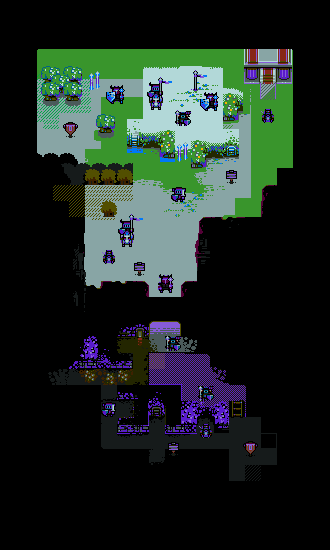 I think it looks nice right now, especially zoomed up a bit. I think this is a time where you have to see the sprite in motion, and the player seeing the same sprite in profile will allow them to better read the horse when they see it from the front. They have a ton of mass in their core, so I repositioned the legs to be closer together to better convey this. Though, there is another problem of the size of the head. Making it shorter would make it look less out of place at this scale, but it starts being harder to read as a horse.